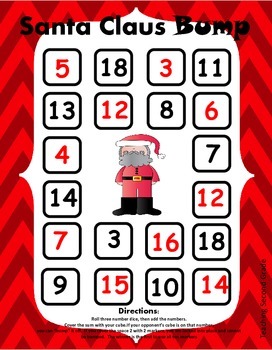 Fun and festive game to put at your centers or for early finishers! Roll three number dice, then add the numbers. Cover the sum with your cube.